At the recent San Francisco 2014 conference, The Open Group Trusted Technology Forum (OTTF) announced the launch of the Open Trusted Technology Provider™ Standard (O-TTPS) Accreditation Program. The program is one the first accreditation programs worldwide aimed at assuring the integrity of commercial off-the-shelf (COTS) information and communication technology (ICT) products and the security of their supply chains. In three short years since OTTF launched, the forum has grown to include more than 25 member companies dedicated to safeguarding the global supply chain against the increasing sophistication of cybersecurity attacks through standards. Accreditation is yet another step in the process of protecting global technology supply chains from maliciously tainted and counterfeit products. As part of the program, third-party assessor companies will be employed to assess organizations applying for accreditation, with The Open Group serving as the vendor-neutral Accreditation Authority that operates the program. Prior to the launch, the forum conducted a pilot program with a number of member companies. It was announced at the conference that IBM is the first company to becoming accredited, earning accreditation for its Application, Infrastructure and Middleware (AIM), software business division for its product integrity and supply chain practices. We recently spoke with OTTF members Fiona Pattinson, director of strategy and business development at Atsec Information Security, and Erin Connor, director at EWA-Canada, at the San Francisco conference to learn more about the assessment process and the new program. The O-TTPS focus is on securing the technology supply chain. What would you say are the biggest threats facing the supply chain today? Fiona Pattinson (FP): I think in the three years since the forum began certainly all the members have discussed the various threats quite a lot. It was one of things we discussed as an important topic early on, and I don’t know if it’s the ‘biggest threat,’ but certainly the most important threats that we needed to address initially were those of counterfeit and maliciously tainted products. We came to that through both discussion with all the industry experts in the forum and also through research into some of the requirements from government, so that’s exactly how we knew which threats [to start with]. Erin Connor (EC): And the forum benefits from having both sides of the acquisition process, both acquirers, and the suppliers and vendors. So they get both perspectives. How would you define maliciously tainted and counterfeit products? FP: They are very carefully defined in the standard—we needed to do that because people’s understanding of that can vary so much. EC: And actually the concept of ‘maliciously’ tainted was incorporated close to the end of the development process for the standard at the request of members on the acquisition side of the process. through a provider’s authorized channel, but has been tampered with maliciously. The OTTF announced the Accreditation Program for the OTTP Standard at the recent San Francisco conference. Tell us about the standard and how the accreditation program will help ensure conformance to it? EC: The program is intended to provide organizations with a way to accredit their lifecycle processes for their product development so they can prevent counterfeit or maliciously tainted components from getting into the products they are selling to an end user or into somebody else’s supply chain. It was determined that a third-party type of assessment program would be used. For the organizations, they will know that we Assessors have gone through a qualification process with The Open Group and that we have in place all that’s required on the management side to properly do an assessment. From the consumer side, they have confidence the assessment has been completed by an independent third-party, so they know we aren’t beholden to the organizations to give them a passing grade when perhaps they don’t deserve it. And then of course The Open Group is in position to oversee the whole process and award the final accreditation based on the recommendation we provide. The Open Group will also be the arbiter of the process between the assessors and organizations if necessary. FP: So The Open Group’s accreditation authority is validating the results of the assessors. EC: It’s a model that is employed in many, many other product or process assessment and evaluation programs where the actual accreditation authority steps back and have third parties do the assessment. FP: It is important that the assessor companies are working to the same standard so that there’s no advantage in taking one assessor over the other in terms of the quality of the assessments that are produced. How does the accreditation program work? FP: Well, it’s brand new so we don’t know if it is perfect yet, but having said that, we have worked over several months on defining the process, and we have drawn from The Open Group’s existing accreditation programs, as well as from the forum experts who have worked in the accreditation field for many years. We have been performing pilot accreditations in order to check out how the process works. So it is already tested. How does it actually work? Well, first of all an organization will feel the need to become accredited and at that point will apply to The Open Group to get the accreditation underway. Once their scope of accreditation – which may be as small as one product or theoretically as large as a whole global company – and once the application is reviewed and approved by The Open Group, then they engage an assessor. There is a way of sampling a large scope to identify the process variations in a larger scope using something we term ‘selective representative products.’ It’s basically a way of logically sampling a big scope so that we capture the process variations within the scope and make sure that the assessment is kept to a reasonable size for the organization undergoing the assessment, but it also gives good assurance to the consumers that it is a representative sample. The assessment is performed by the Recognized Assessor company, and a final report is written and provided to The Open Group for their validation. If everything is in order, then the company will be accredited and their scope of conformance will be added to the accreditation register and trademarked. EC: So the customers of that organization can go and check the registration for exactly what products are covered by the scope. FP: Yes, the register is public and anybody can check. So if IBM says WebSphere is accredited, you can go and check that claim on The Open Group web site. How long does the process take or does it vary? EC: It will vary depending on how large the scope to be accredited is in terms of the size of the representative set and the documentation evidence. It really does depend on what the variations in the processes are among the product lines as to how long it takes the assessor to go through the evidence and then to produce the report. The other side of the coin is how long it takes the organization to produce the evidence. It may well be that they might not have it totally there at the outset and will have to create some of it. FP: As Erin said, it varies by the complexity and the variation of the processes and hence the number of selected representative products. There are other factors that can influence the duration. There are three parties influencing that: The applicant Organization, The Open Group’s Accreditation Authority and the Recognized Assessor. For example, we found that the initial work by the Organization and the Accreditation Authority in checking the scope and the initial documentation can take a few weeks for a complex scope, of course for the pilots we were all new at doing that. In this early part of the project it is vital to get the scope both clearly defined and approved since it is key to a successful accreditation. It is important that an Organization assigns adequate resources to help keep this to the shortest time possible, both during the initial scope discussions, and during the assessment. If the Organization can provide all the documentation before they get started, then the assessors are not waiting for that and the duration of the assessment can be kept as short as possible. Of course the resources assigned by the Recognized Assessor also influences how long an assessment takes. A variable for the assessors is how much documentation do they have to read and review? It might be small or it might be a mountain. The Open Group’s final review and oversight of the assessment takes some time and is influenced by resource availability within that organization. If they have any questions it may take a little while to resolve. What kind of safeguards does the accreditation program put in place for enforcing the standard? FP: It is a voluntary standard—there’s no requirement to comply. Currently some of the U.S. government organizations are recommending it. For example, NASA in their SEWP contract and some of the draft NIST documents on Supply Chain refer to it, too. EC: In terms of actual oversight, we review what their processes are as assessors, and the report and our recommendations are based on that review. The accreditation expires after three years so before the three years is up, the organization should actually get the process underway to obtain a re-accreditation. They would have to go through the process again but there will be a few more efficiencies because they’ve done it before. They may also wish to expand the scope to include the other product lines and portions of the company. There aren’t any periodic ‘spot checks’ after accreditation to make sure they’re still following the accredited processes, but part of what we look at during the assessment is that they have controls in place to ensure they continue doing the things they are supposed to be doing in terms of securing their supply chain. FP: And then the key part is the agreement the organizations signs with The Open Group includes the fact the organization warrant and represent that they remain in conformance with the standard throughout the accreditation period. So there is that assurance too, which builds on the more formal assessment checks. What are the next steps for The Open Group Trusted Technology Forum? What will you be working on this year now that the accreditation program has started? FP: Reviewing the lessons we learned through the pilot! EC: And reviewing comments from members on the standard now that it’s publicly available and working on version 1.1 to make any corrections or minor modifications. While that’s going on, we’re also looking ahead to version 2 to make more substantial changes, if necessary. The standard is definitely going to be evolving for a couple of years and then it will reach a steady state, which is the normal evolution for a standard. For more details on the O-TTPS accreditation program, to apply for accreditation, or to learn more about becoming an O-TTPS Recognized Assessor visit the O-TTPS Accreditation page. 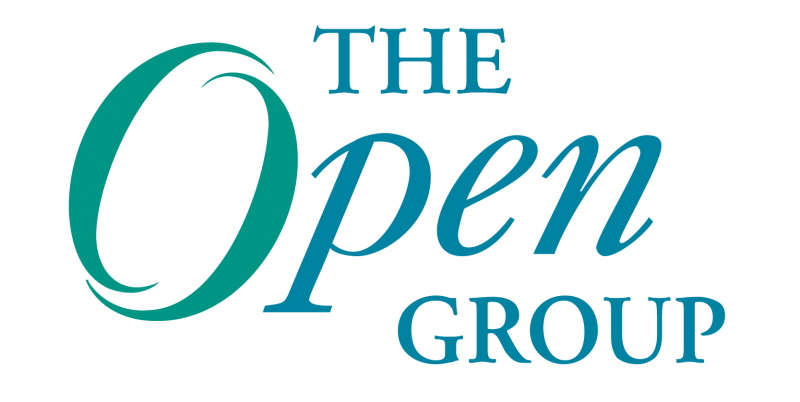 For more information on The Open Group Trusted Technology Forum please visit the OTTF Home Page. The O-TTPS standard and the O-TTPS Accreditation Policy they are freely available from the Trusted Technology Section in The Open Group Bookstore. Fiona Pattinson is responsible for developing new and existing atsec service offerings. Under the auspices of The Open Group’s OTTF, alongside many expert industry colleagues, Fiona has helped develop The Open Group’s O-TTPS, including developing the accreditation program for supply chain security. 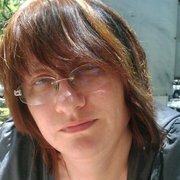 In the past, Fiona has led service developments which have included establishing atsec’s US Common Criteria laboratory, the CMVP cryptographic module testing laboratory, the GSA FIPS 201 TP laboratory, TWIC reader compliance testing, NPIVP, SCAP, PCI, biometrics testing and penetration testing. Fiona has responsibility for understanding a broad range of information security topics and the application of security in a wide variety of technology areas from low-level design to the enterprise level. Erin Connor is the Director at EWA-Canada responsible for EWA-Canada’s Information Technology Security Evaluation & Testing Facility, which includes a Common Criteria Test Lab, a Cryptographic & Security Test Lab (FIPS 140 and SCAP), a Payment Assurance Test Lab (device testing for PCI PTS POI & HSM, Australian Payment Clearing Association and Visa mPOS) and an O-TTPS Assessor lab Recognized by the Open Group. Erin participated with other expert members of the Open Group Trusted Technology Forum (OTTF) in the development of The Open Group Trusted Technology Provider Standard for supply chain security and its accompanying Accreditation Program. Erin joined EWA-Canada in 1994 and his initial activities in the IT Security and Infrastructure Assurance field included working on the team fielding a large scale Public Key Infrastructure system, Year 2000 remediation and studies of wireless device vulnerabilities. Since 2000, Erin has been working on evaluations of a wide variety of products including hardware security modules, enterprise security management products, firewalls, mobile device and management products, as well as system and network vulnerability management products. He was also the only representative of an evaluation lab in the Biometric Evaluation Methodology Working Group, which developed a proposed methodology for the evaluation of biometric technologies under the Common Criteria.